Health, education, infrastructure and children and family services will all be driven by Indigenous communities and their governments as Ottawa works toward providing sustainable, predictable, and flexible long-term funding and a “hands-off” approach. Indigenous Services Canada Minister Jane Philpott said that a changed fiscal relationship her government is seeking to put in place with First Nations, Inuit and Métis will lead to the obsolescence of her department. “A new fiscal relationship is absolutely essential if self-determination is going to be a reality,” Philpott said. She was speaking at a news conference this morning about the priorities of her department and the progress it has made since its formation five months ago when Prime Minister Justin Trudeau split Indigenous and Northern Affairs Canada into two ministries. Carolyn Bennett now serves as minister of Crown-Indigenous Relations and Northern Affairs. Philpott said that that a new fiscal relationship would be nation-to-nation with First Nations, government-to-government with the Métis Nation, and an Inuit to Crown relationship. Those relationships could occur in sectors – with tailor-made agreements and approaches in health, education, child and family services – or full self-government. “This is what a respectful nation-to-nation, government-to-government relationship looks like where we enter into those,” said Philpott. She stressed that there will always be a financial relationship between the Crown and Indigenous peoples in respecting treaty rights. However, a “hands-off” relationship is what the government is working toward, with Canada no longer developing and delivering programs, but Indigenous communities doing that and some becoming complete self-governing nations. 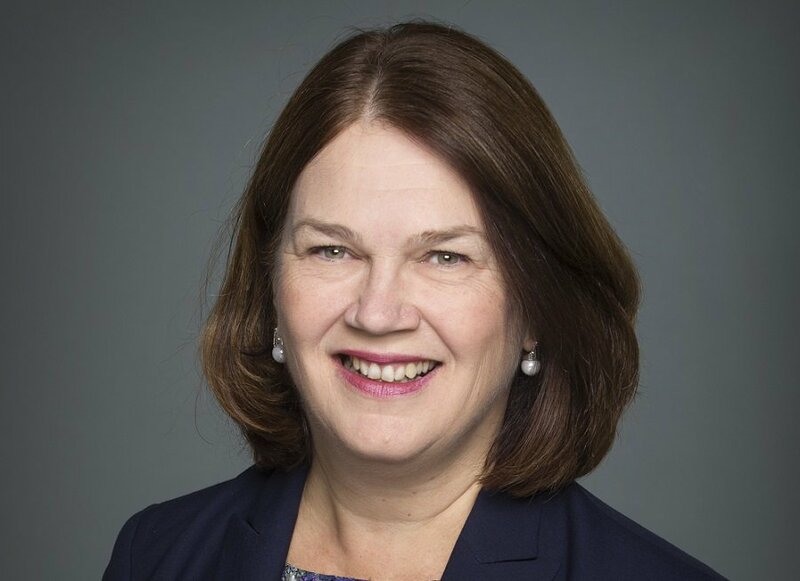 Towards that end, Philpott said the government will work with First Nations financial institutions to provide 10-year grants to 100 communities by 2019. A plan developed by her department and the Assembly of First Nations would see working with communities – some individual First Nations, others a possible aggregation of First Nations or bands – that have been accredited by the First Nations Financial Management Board. Long-term funding will provide flexibility for the First Nations, allowing them to set their own priorities, develop their own programming and services, and work toward long-term goals. Even though the fiscal relationship will change, Philpott said that Indigenous governments or communities will still be required to report what has been accomplished with the funding. However, that reporting will be “less cumbersome” and will be outcome-based. “We have had a relationship with Indigenous people in the past that’s based on denial of their rights, where there has been inadequate funding in a full range of areas and where real peoples’ lives are suffering as a result. It would be irresponsible of us as a government not to acknowledge that and its by acknowledging both where things are and how we got into these circumstances that we will be able to work with communities to support the solutions that they have been waiting to put into place. It’s a recognition of the reality and recognition of the work that needs to be done,” said Philpott.